Wow, since 10th of October the Android version of the game is out. With mouse & keyboard support. For me it's the game of the year 2017. It's strange when I'm diving into the game für hours on my Pixel XL. Never before has an Android game tight me to the tiny screen so much. Well, but I also played it on the big screen. Yes, it's awesome. Casting the screen via Chromecast to the TV, and using keyboard & mouse on the Pixel. Works like a charm. 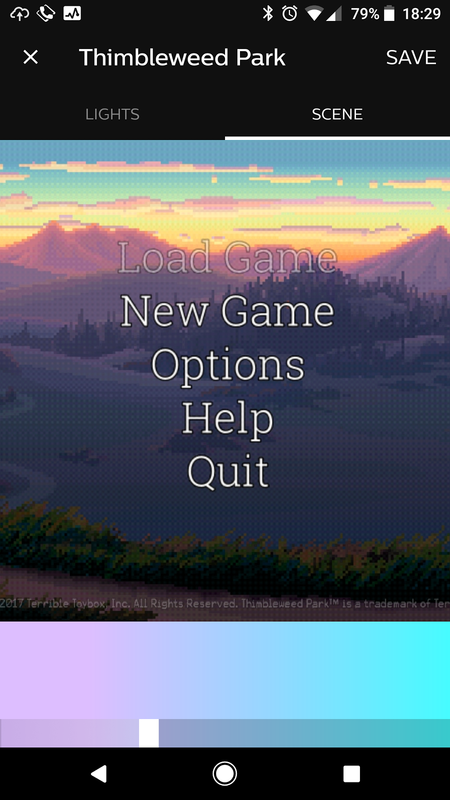 But since I'm even playing on the toilet :D (please Ron Gilbert, forgive me... the toilet paper pun was intentional) I enjoy having it on my mobile device, so I can decide big screen or small screen. It's hard to tell you how awesome this game is. 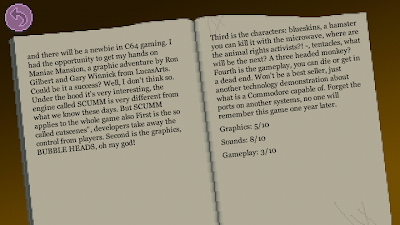 Probably because I immediately felt that Monkey Island feeling, but it's so much more. Even though it feels like 1987 somehow, you definitely experience at all times that this is not a bad try to be retro, but that this is a totally new and fun game. Technically and story-wise. I could read for hours in that library! Android users had to wait a long time. It was released for almost any system before. But what you have here was worth the wait, with special features. Localization, puns, references, controls... everything has that quality that makes you say "Yes, I know that when Games were something other than boom, boom, bang, bang graphics fireworks". But then again, you know that we always went "Oooh, ahhh, look at that graphics" :). And here is the magic. I don't know how the great team that programmed this masterpiece made it, but they managed to have a retro-style graphics game without leaving people some kind of disappointed. It's often the case that you know a game from childhood, starting it in an emulator and... well, you'll be some kind of disenchanted. Not here, because like I said is a brand new game, with a retro-style look, but with magical feeling that this is a modern piece of software. Playable even in languages you don't understand! Must be the Translatron 3000™. 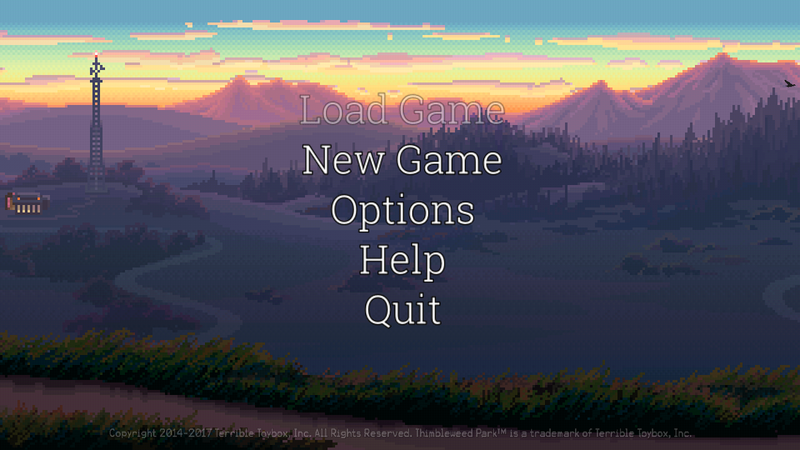 You'll can find that Thimbleweed Park Masterpiece in the Play Store for about 10 bucks. I'll never look at Thimbleweed the same way as before.